Curtis Electric propellers, square tip. Scrapped at Douala Airport Cameroon 1980. Delivered to Air France 'Jacques Marquette' as F-BHBR on 27 September 1957. Used on the first 'Over the Pole' training flight 26 January until 1 February 1958. Later used in an 81-seater configuration. Withdrawn from service 11 November 1963 and stored at Paris-Orly prior certificate of airworthiness expiry on 1 July 1964. Delivered ex Air France to Trek Airways on 19 April 1964. 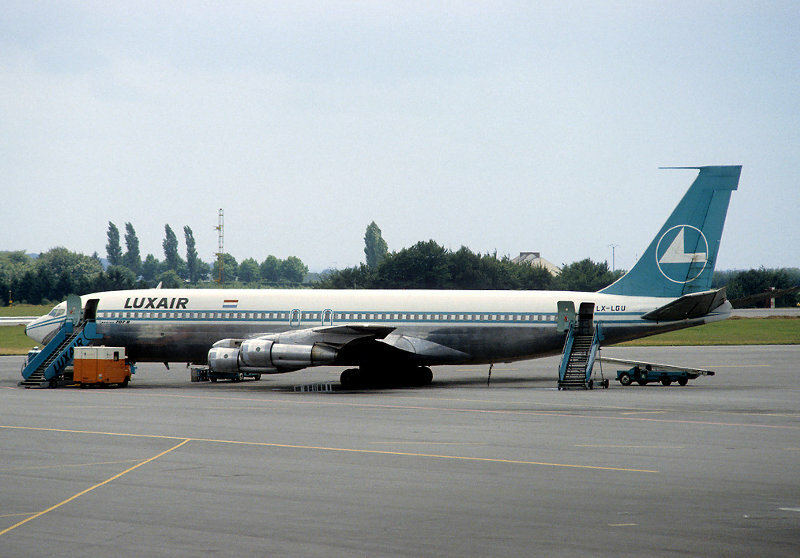 Registered to Luxair as LX-LGY in May 1966. 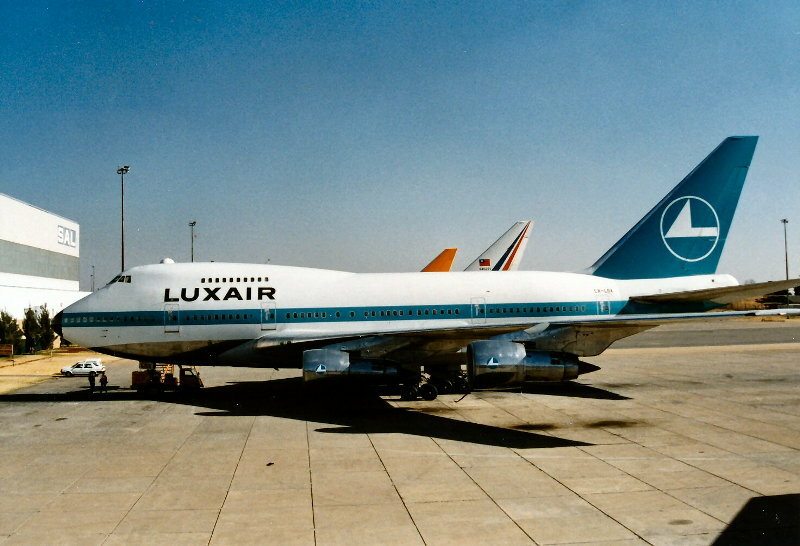 Operated the last Luxair Starliner flight on 20 January 1969. LX-LGY registration was cancelled in August 1969, became N4796, later TF-ERA owned by Björn Sverrisson for one return flight Luxembourg Tel Aviv between 17 August and 12 September 1969. Painted up with Nittler Air Transport International titles and registered HP-501, eventually owned by Larry Raab. 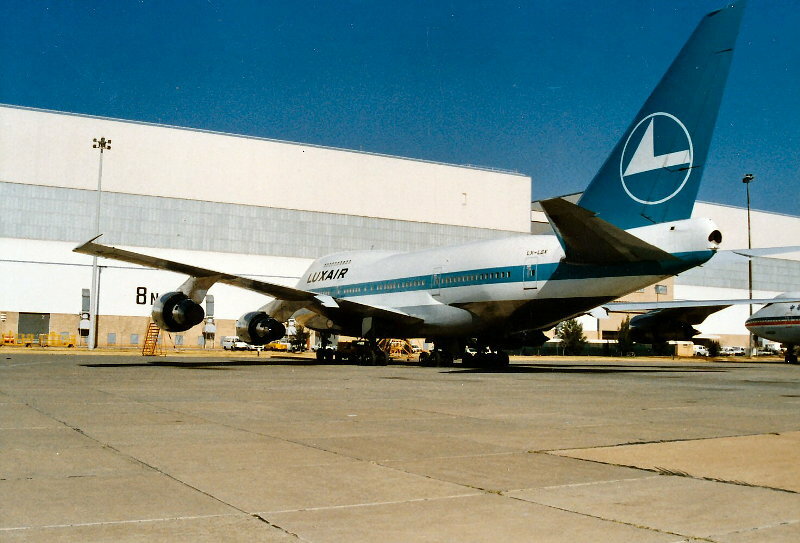 Left Luxembourg on 28 October 1969 and operated one flight on the Biafran airlift in January 1970. Used in the pirate TV scheme at Dublin in July 1970. Stored at Douala since early 1971. Plans of using it as a restaurant fell through. 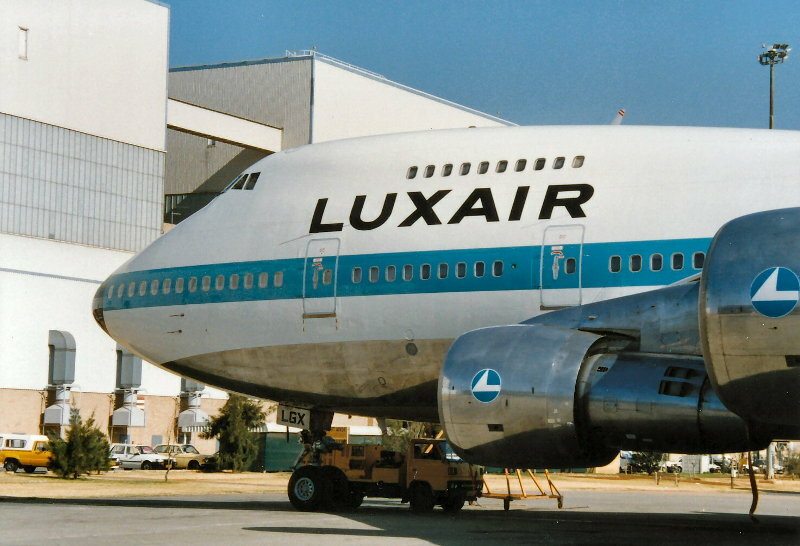 Scrapped at Douala Airport, Cameroon, in late 1980. It had Curtis Electric propellers, square-tipped. Delivered to Lufthansa as D-ALER on 9 January 1958. Nominally transferred to Deutscher Flugdienst, Condor, on 1 March 1960, but retained Lufthansa colours and also used by Lufthansa when required. Leased to World Airways as N45517 from 2 October 1962 until 12 February 1964. Delivered ex World Airways directly to Trek Airways as ZS-DTM on 13 February 1964. 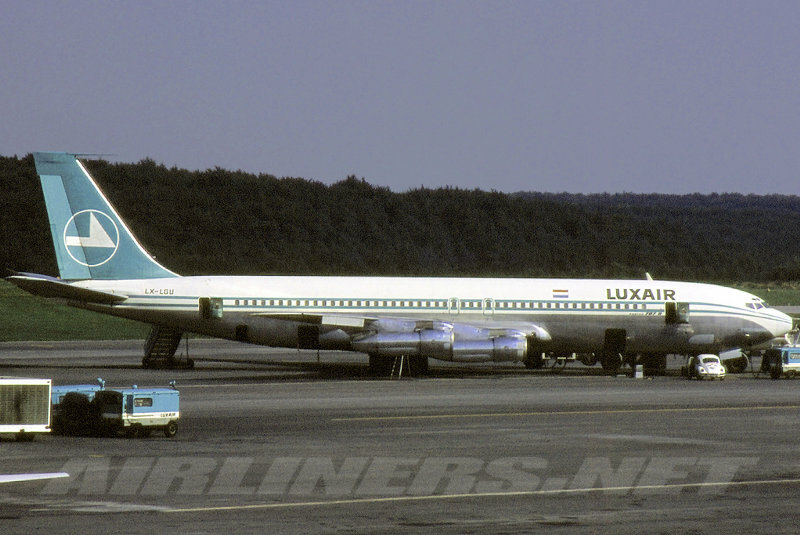 Registered LX-LGZ and operated by Luxair 4 April 1964 opened Luxembourg - Johannesburg schedule on 11. April 1964. Returned to Trek Airways 18 May 1967 as ZS-FAB. Damaged when taxiing to take-off at Bangkok, Thailand on 28 April 1968. Port main undercarriage wheel hit soft border and the Starliner sunk into the ground. Repaired and transferred to South Africa 17 May 1968. Used by Trek until expiry of certificate of airworthiness on 15 September 1969. Scrapped in mid 1970. Broken up at Johannesburg during May - June 1970. Delivered to Lufthansa as D-ALOL on 17 January 1958. Nominally transferred to Deutscher Flugdienst, Condor, on 1 March 1960, but retained Lufthansa colours. 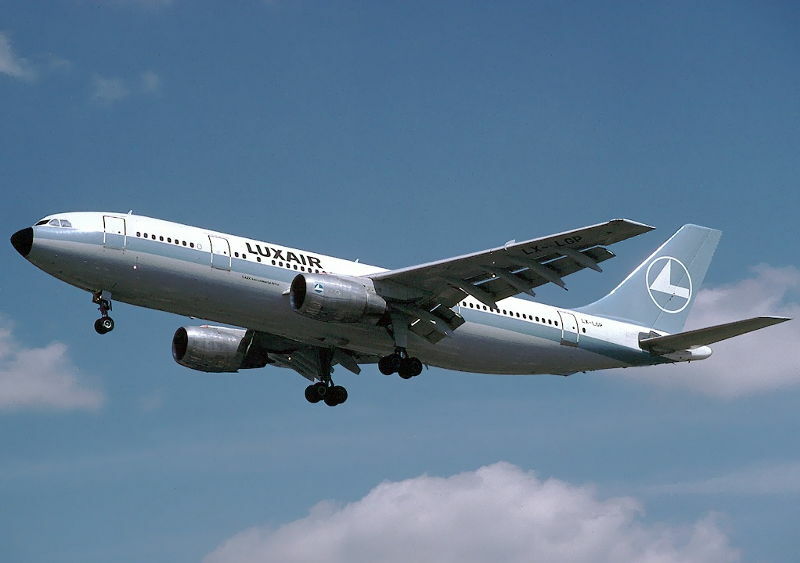 Was also used by Lufthansa when required. Leased to World Airways as N45520 from 5 October 1962 until 21 February 1964. Delivered ex World Airways directly to Trek Airways as ZS-DVJ on 21 February 1964. Used as 101-Seater. 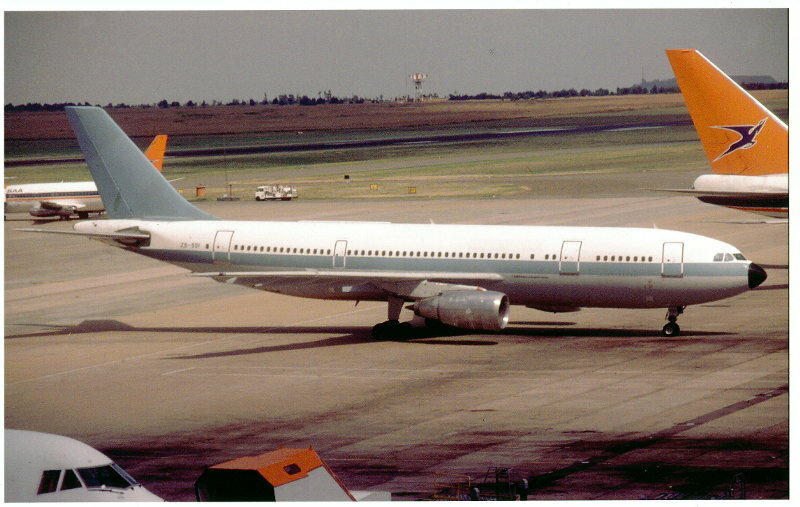 Converted end 1965 to 10 First, 56 Tourist Class configuration for South African Airways. 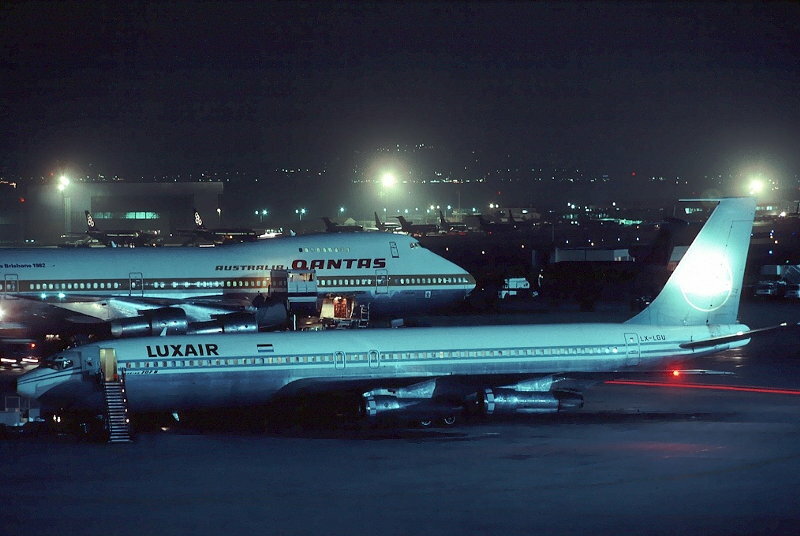 Leased to SAA 7 May 1965 until 28 September 1965 and used on the Johannesburg - Perth, Australia route. Back to 101-Seater configuration. 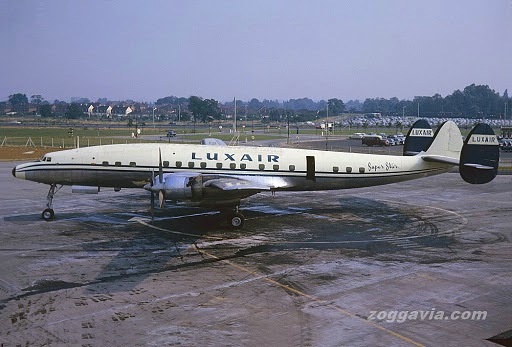 Delivered to Luxair 18 May 1967 as LX-LGX and painted in Luxair colours. 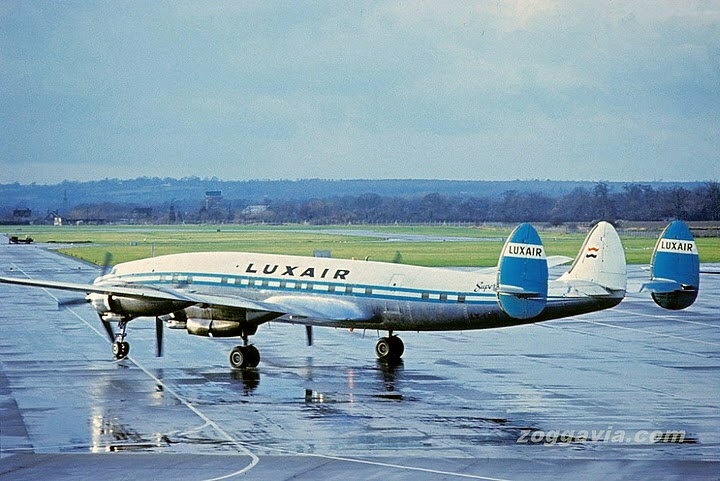 Luxair operated the Starliner on the Luxembourg - Johannesburg route in the beginning, later mainly as feeder to and from London Gatwick. 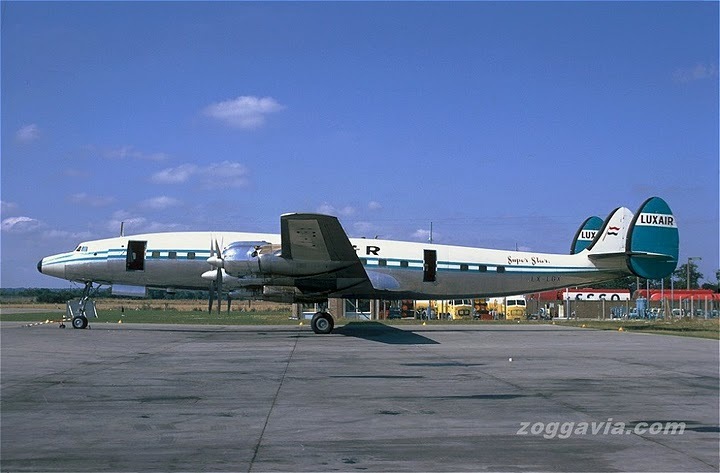 Re-registered again to ZS-DVJ and operated by Trek Airways from 10 June 1968 until April 1969. Sold to W.J. Pelser and cancelled finally from the ZS- register in May 1972. Sold to SAA for preservation in 1978.